My Cheap Smart Home Setup - How do I get the public transport status? Turin is a great city and I’m enjoying it. The only problem is that I use public transport for almost anything. Finding out that there’s an unexpected public transports strike is always a pain. I had to solve this problem. 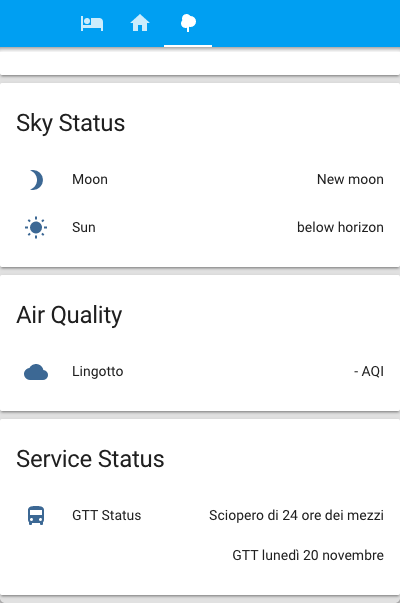 Since I’m working on my Smart Home project, I decided to include “strike data” into it so when I wake-up in the morning and I look at my Wall Mounted Controller I’ll get to know the status of the service, I’ll never get a nasty surprise. Public transportation in Turin is mainly managed by GTT (Gruppo Torinese Trasporti) and they’ve a nice page where they publish line changes, news and strikes. They also offer an RSS feed of this page here. Now we need to decide how to get the data to our Home Assistant instance. I decided to take the IFTTT way. If you don’t know IFTTT, well, IFTTT is a easy and free web-service you can use to create chains of conditional statements called applets. The first one will read the RSS feed, the second one will post the data to our Home Assistant instance. The next time your public transportation company posts a strike notice you’ll get the info in your Home Assistant instance. As you can see IFTTT blends perfectly with Home Assistant. These two platforms can bring us endless possibilities. 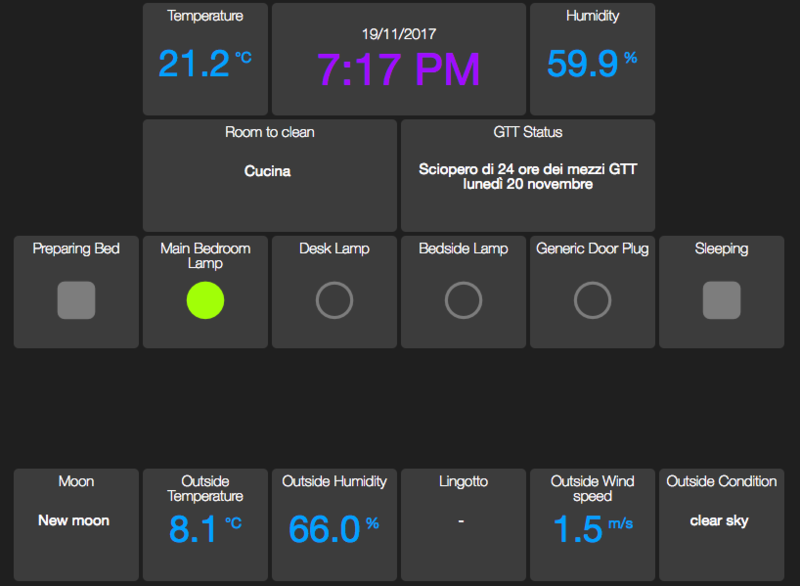 You can check my Home Assistant configuration files here. Let me know what you think of this project and this article using the comments below or by hitting me up on Twitter.